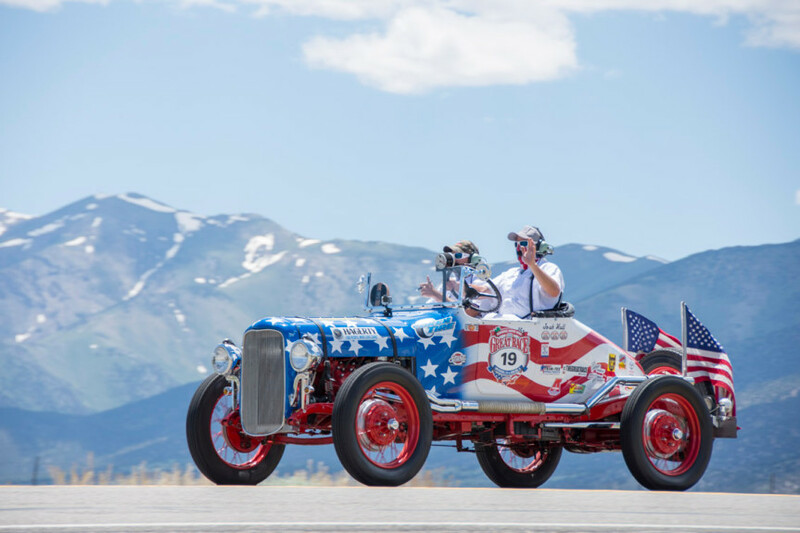 The Leslie Special, the car driven by Tony Curtis in the 1965 hit movie The Great Race, will again be traveling with the Great Race courtesy of owner Ted Stahl. 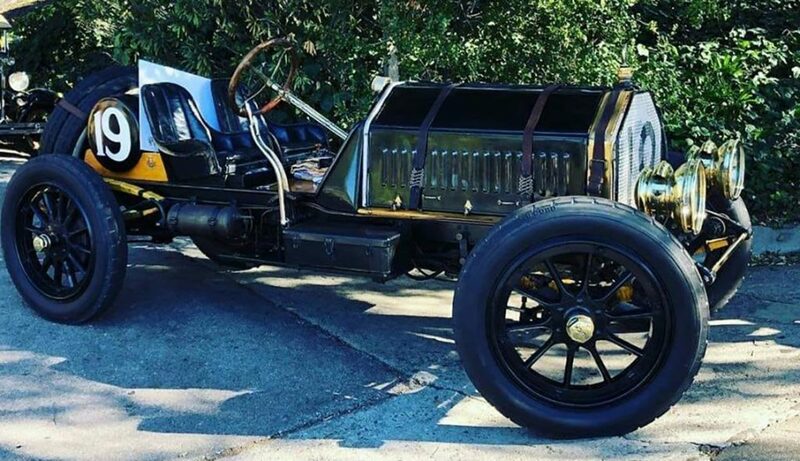 In the movie, good-guy Curtis drives the white Leslie Special while his rival and villain Professor Fate drives the black Hannibal 8 in a race from New York to Paris. Jack Lemmon plays Professor Fate in Blake Edwards comedy about the real-life 1908 event. Stahl, a three-year veteran of the Great Race, owns two of the three sets of cars. The third set is on display at the Petersen Automotive Museum in Los Angeles. As it did last year, the Leslie Special will make an appearance at each stop during the opening ceremonies in each city and occasionally bring dignitaries to the stops. Last year was not the first time the Leslie Special was involved in the Great Race. 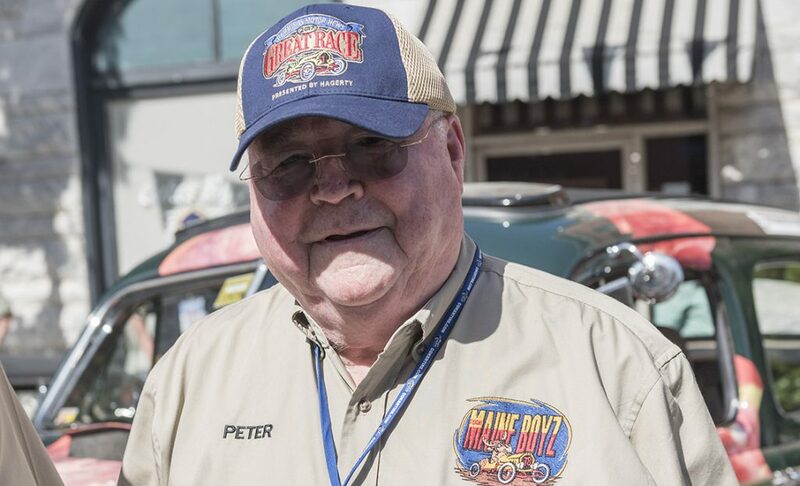 Former owner Rodney Rucker was a longtime Great Racer and he provided the Leslie Special and the Hannibal 8 in 2003 and 2004 for use in the event. In 2004 at the finish in Monterey, the Leslie Special carried Tony Curtis to the finish line as the Grand Marshall marking the first time he had been in the car in almost 40 years. Glad to hear the Leslie Special will be with us for the run down the East Coast! As mentioned, the 1965 movie version of the origional Great Race from New York to Paris 1908 featured Tony Curtis. Tony protrayed (very loosely) George Schuster winner of the 1908 event, and even invited George to the movie premier in Hollywood. George declined after hearing about the pie fight sequence in the film. I’ll be telling the original story behind today’s Great Race as George’s great-grandson, while we travel down the coast. I look forward to seeing you all again! this cars are cool and my cars is old too and l like your cars too ok.
in Tupelo MS. The museum is open year ’round and more information can be found at http://www.tupeloauto.com. 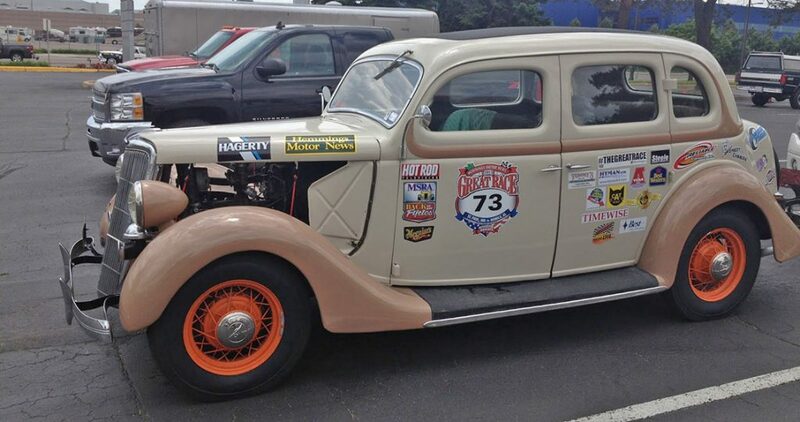 I saw both of the lead cars from The Great Race at the Concoures Show in Lexington Kentucky 2 years ago. DAMN, how did I miss this !!!!??? I love this! My favorite Movie of all time and I’d appreciate knowing more about the cars they built for the movie. Thanks. I’d just love to see how the cars were built and any thing along those lines! Certainly… somewhere, sometime, someONE has done an expose on this. I’d love to see that if anyone has links, please please post! ? ?